This time of year, fat loss is an extremely popular topic. As with most topics, the fitness industry is full of many controversial opinions as to the right way to go about it. However, over the years I have found that many of what seems to be a raging debate can be quickly settled with a simple understanding of context. What is an excellent approach to take in one context can be totally inappropriate in another. 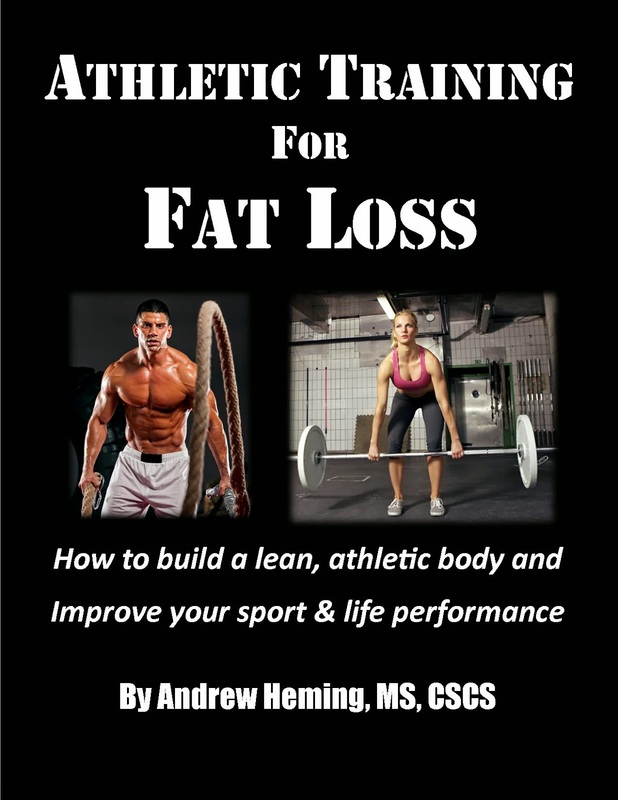 When it comes to fat loss, I like to divide it into three categories: 1) losing weight (i.e. going from overweight or obese to a healthier weight and 2) getting athletic lean (i.e. going from a normal/acceptable body composition to athletic lean - like your favorite sports heroes) and 3) physique athlete ripped (e.g. bodybuilder ready to step on stage). While there are of course similarities, if you want to get lean, you need to play by different rules then if you are just trying to lose some weight. Let's look at the differences. Lyle McDonald summed up weight loss very well: 1) eat less, 2) move more, 3) repeat forever. Weight loss is simply about making a few simple (not necessarily easy) changes to create a caloric deficit (i.e. expend more energy than you consume). A great example of weight loss is Jared Fogle from the Subway commercials. Jared lost 245lbs by walking and eating Subway sandwiches. If you study weight loss success stories, you will find many different people achieving success with many different diets. For basic weight loss any diet plan the reduces calorie intake will work - for a while if you are consistent. Note: some diets are obviously better and/or healthier than others. Just about anything that gets you moving will help you lose weight - for a while. Basic, cardio is often used as activities (e.g. walking) are practical for almost anyone to do. As much as I love resistance training, cardio may be more effective for total beginners who lack the strength and skill to effectively use weights to burn fat (click HERE for more info). However, I believe everyone healthy enough to do so should start a beginner resistance training program (I'll explain more why below). Also, those who are very overweight should chose non-impact cardio options (swimming or water-based exercise are ideal) while getting stronger with weights to allow for more exercise options down the road. For weight loss, a few simple lifestyle modifications can go a long way. Simply look to adjust you life so you sit less and try to be more active. You will also want to reduce or modify fattening activities (e.g. parties, going out to eat, drinking, TV watching, etc.). At this point, you have probably noticed that if you where just trying to lose some weight, you have a lot of flexibility. Perhaps you are thinking then that it doesn't really matter what you do as long as you eat less and move more. While this is somewhat true, there is a catch: these simple weight loss methods will not take you any further than just losing weight. You will not get lean by doing this. You will hit a fat loss plateau that may be far from your goal. Therefore, I recommend that anyone just starting who is thinking they may like to go beyond just losing weight should use this beginner phase to not just burn calories, but should invest some time in learning how to properly do the best exercises (e.g. squats, deadlifts, presses, pull-ups, etc.) and get progressively stronger at them. If you are strong and can move well you have the prerequisites to get into some fun, time-efficient effective athletic-based training that will get you lean. This is why I included 3 progressive beginner programs in my book Athletic Training for Fat Loss to help beginners lose fat while properly preparing for the intermediate and advanced training programs. At this level, the objective is still to burn more calories than you consume. However, to get lean you have to think about more than just moving more and eating less (as you will see in the below). Also, this style of fat loss is the most time-efficient. You will not get absolutely shredded, but you will get very lean (e.g. visible abs for guys, tone and definition for ladies) in a fraction of the time it would take to get shredded. This style of fat loss is ideal for competitive athletes and anyone who is very busy but still wants to look great! The challenge at this level is trying to eat few enough calories so that you can lose fat while still consuming enough to support intense training and maintain lean muscle. Seek caloric restriction by reducing consumption of processed foods and sugars.This will also reduce insulin levels and help create a hormonal environment in the body more conducive to fat loss. Then, eat whole natural foods to fuel your body for high-performance training and time your nutrients to consume more of your carbs after exercise - when your body need them. Training to get athletic lean is not just about moving more to burn more calories during activity. It is about building lean muscle to boost your metabolism so you burn calories even when you are not active. It is about doing intense training is the gym or on the track so your body burns extra calories after the training session as you recover (click HERE for more details). It is also about naturally increasing hormones that tell your body to build lean muscle and burn fat. At this level, training involves explosive power training, heavy strength training, whole body metabolic resistance training, sprints and other intense interval training. If you are willing to work hard, this type of training is very time-efficient for fat loss! The athletic lean lifestyle involves getting a good amount of quality sleep on a regular basis. In addition to training (which is very time efficient), brisk walking is helpful to facilitate recovery, improve overall health and burn a few extra calories. Some extra time will need to be invested for grocery shopping, preparing meals and cleaning the kitchen. Unhealthy, fat gaining lifestyle habits (as mentioned above) will need to be limited. Note: because this site is for athletes and those who want to look and feel like one, there is tons of information on athletic fat loss here for you. Just click HERE to see my other posts on this topic. 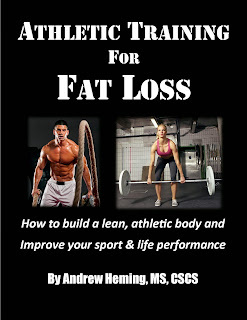 Also, for a complete guide to getting athletic lean, check out my new book Athletic Training for Fat Loss. The objective here is to get absolutely shredded (i.e. super-low levels of body fat) for a physique show (e.g. bodybuilding, fitness, figure) while maintaining lean muscle. This will place you at a body composition that is not healthy and will require you doing things that are not healthy. Remember, this is sport and high-level sports are not healthy. Drugs are often used to help maintain muscle and lose fat. Nutritional recommendations are very extreme for this goal. It often results in restricting not just carbohydrates, but also fats at the same time. As a result, meals such as boiled chicken breasts and steamed broccoli are the norm for many physique athletes. Often a very high meal frequency is used which means you would be eating your chicken and broccoli out of Tupperware as you go throughout your day. Here is an example of an extreme bodybuilding diet as well as an example of what this can do to your cognitive functioning. Training involves a lot of resistance training (e.g. 1-2 hours a day, 6 days per week). Because this intense training combined with the extreme nutritional restrictions, you often have no energy left over for high-intensity sprint and interval training. As a result, physique competitors will often do an hour of low-intensity cardio (e.g. brisk walking on an inclined treadmill) in the morning and again in the evening. If you are not training, you are eating, meal prepping, or sleeping. You often go around in low-carb induced brain fog. It is a huge total-life commitment to go to this level. You will have to put normal life on hold until after the show. It should also be noted that many physique stars use various drugs such as steroids and growth hormone to get totally shredded. I do not recommend them, but for full disclosure, want people to recognize that this is an often over-looked factor and can contribute to unrealistic standards for those choosing to stay drug free. Another thing many non-physique athletes fail to understand about getting ripped is that you cannot stay that way all the time. While many of today's physique athletes stay lean year-round, they will only get ripped for shows or important photo shoots. Also, many end up rebounding after getting really ripped. One of my fundamental training philosophies is, "the goal dictates the program." Think carefully about your goal and be realistic about what you are willing to commit to. Your actions must match your goals if you want be successful. 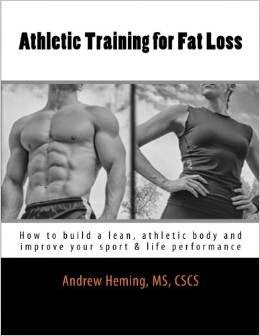 For most people the athletic lean approach is the best way to have a good looking, high-performance body and still have a life as well.